This is the only book I’ve read this year that I’ve read before. I started a new job last month and thought it would be a good refresher for me. As I started reading it, I quickly realized how much of this process had been implemented into my own style. My past employer implemented this philosophy into it’s sales force, I guess it stuck. The essence of this book is showing you that how you sell has become more important than what you sell. Challengers have a deep understanding of their customers business and show them a different way of solving their issues. The challenger wants to push their customers slightly out of their comfort zone but not be aggressive. Backed by research and data, the authors bucketed sales teams into five segments. Challengers, Relationship Builders, The Lone Wolf, The Problem Solver and The Hard Worker. 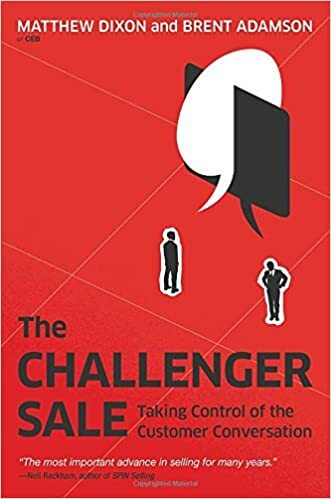 The data shows that 40% of top performing sales professionals are challengers or display challenger like characteristics. Surprisingly, relationship builders had the lowest percentage of top performers (7%) but the labels can be quite misleading. This book breaks down why some people are top performers and others are not. Customers are becoming smarter and want to work with people who can show them something they didn’t see. You want to be looked at as a trusted advisor versus a sales person. Challengers do that.